Battery Storage: 6,000 mAh battery Dimensions: 7.75x3.75x1"
The Sustain is a high capacity electric reservoir or power pack, with variable outputs for more demanding electronics like laptop computers, electronic book-readers/tablet computers, professional camera equipment, and also smaller USB-based electronics. It has multiple outputs including 5 volt USB, as well as 12, 16 and 19 volt outputs. While the unit does not have built-in solar capabilities, it can be charged from household AC, vehicle 12v DC, or any 12 volt Brunton solar array for off-grid charging. The Sustain includes specific tips for most laptop computers. You'll just need to find the one that fits your machine. You'll also need to find out what voltage your computer normally chargers at. This information is usually found on the computer's normal AC charger. Then connect your computer using the supplied cable/tip, and change your Sustain to the correct voltage listed on your computer's AC charger. Then press the start/power button on top of the power pack to begin the charge. There doesn't seem to be an included tip that fits my device. What do I do? It is very difficult to offer every type of adapter for every model from every different brand. As a solution, we include a 12 volt socket that acts just like the receiving end of a car's cigarette lighter. Most electronics manufacturers offer a 12v DC charger or car charger specific for each of their devices. One of these would integrate with the 12v socket included with the Sustain/Impel and makes for a very efficient system because the power runs as DC to DC, without need for conversions. How do I connect my digital SLR or video camera equipment? Most camera companies offer a 12 volt DC charger or car charger specific to each model of camera, or one is available from a third party. This would connect to the 12v socket included with the Sustain. How do I charge my e-reader or tablet computer? Most tablets and e-readers come with a specific USB cable. Simply connect the table/e-reader to the Sustain's USB port and press the start/power button to initiate the charge. Can I use a DC to AC power inverter with my Sustain? Power inverters or converters are extremely wasteful of the stored energy and tend to be very unreliable. If available, Brunton strongly recommend getting a DC charger specific to your device both to increase efficiency and ease of use. If a 12v DC charger or a 5v USB cable is not available for a particular electronic, very low wattage inverters (50 watts or less) can be used, but remember that a great deal of the power you have stored will be lost as heat during the conversion from DC to AC. What if I accidentally charge my device with the incorrect voltage? There is no risk of damage from your Brunton power pack. If your device charges at 16 volts but you inadvertently try to charge it at 19 volts, the device will simply not charge. The stronger current will not impact your battery or device. 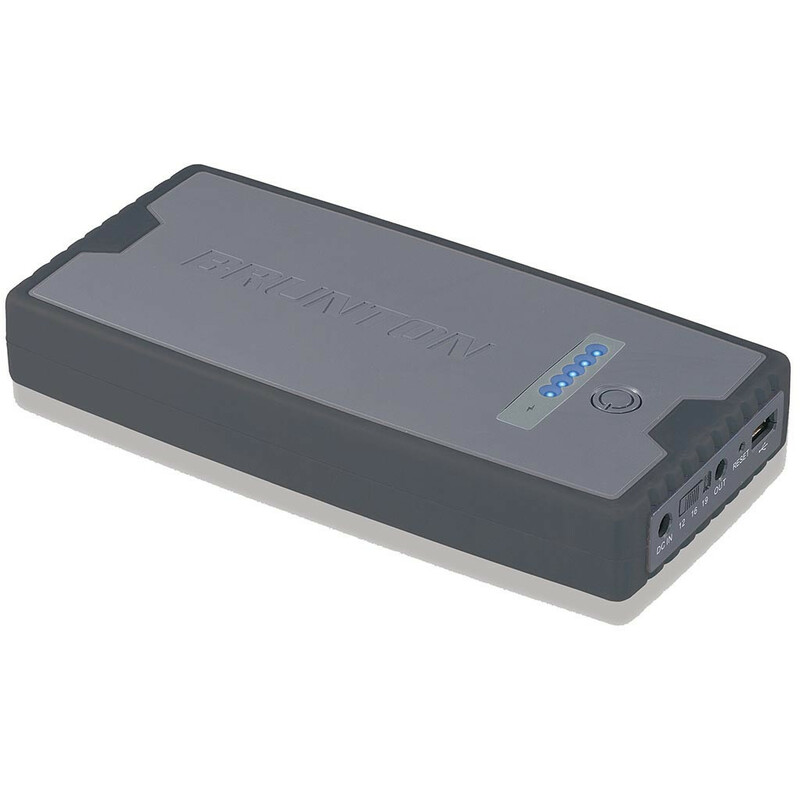 Will my power pack over-charge my computer/device? No, there is no risk of over charge. Your Sustain/Impel will reduce current to maintenance charge when your device becomes fully charged. Great price and worked great for our recent 3 day hike. I was able to charge my cell phone each day. Easy to use and get started. Ordered it Monday and got it the next day! The Brunton Company provides the Sustain2 to be free from defect for 1 year.